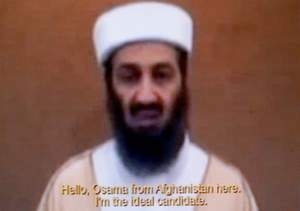 Osama bin Laden Dead? Which one? 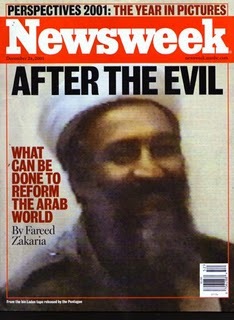 Well, it looks like they finally rolled out Osama bin Laden. I wonder how long they have had this guy on ice, waiting for the perfect moment to bring him out. 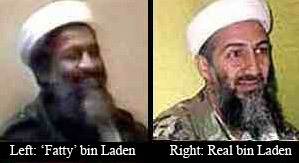 The question is, which Osama did they kill? The fat one? The skinny one? One: To cause defamation of the countries which have had a role, direct or indirect, in the defeat of the Americans and their allies, in Iraq, Lebanon and Afghanistan, and create mistrust amongst them, so that they are not able to challenge future American plans in the region. Two: To create conditions for a civil war in Afghanistan and out of the chaos and confusion, reduce Pakistan and Iran to subservience, something they have not been able to achieve during the last thirty years. Three: To establish Indian hegemony over South Asia, including Afghanistan, and project American strategic interests in the region. The technique used in making these revelations is typical of psy operations approach, of mixing truth with lies in a manner that truth tends to get submerged under the lies, as is the case here. The report has not said a word about Israel, nor it gives any disadvantage to US in the implementation of policies in Afghanistan, Pakistan, Iran and other Muslim countries, which have been particularly targeted. The Wikileaks betrays the role of a country with resources to break the secret code of US diplomatic order, because it is not possible for an individual like Julian Assange, the fugitive, to accomplish such high profile task. The report, no doubt, has created ripples around the world, but will subside as it is looked into with a deeper perspective, regarding its source, intent and purpose. Hillary Clinton expressed concern over the Wikileaks revelations and resolved to prevent such happenings in the future. In the first place, did she not know what the ‘Wikileaks’ were upto, and why could they not be stopped in time and their website blocked, under the law of the country? 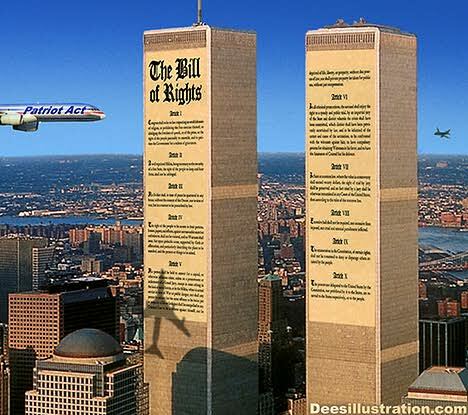 It could be checked, if the US government so wanted, but did not, because, they themselves are part of the game. A few months time has been given to Karzai to negotiate peace and evolve a plan with the Taliban and Northern Alliance. Saudi Arabia, Pakistan and Iran are expected to fully support such negotiations. If negotiations fail, the alternative is to divide Afghanistan. Thus, the constitutional framework is being prepared for the new government, envisaging the judicial system and the political structure, based on consensus of the federating units. Afghanistan is to be divided into three ethnic zones. The provinces of Badakhshan, Samangan and Saraipul will be handed over to the Tajik and Uzbek warlords, who are already in control of these areas. Provinces in the East and South East will be given under control of Taliban and other tribal leaders. Kabul, Parwan, Wardak and Lugar provinces will be retained by the Americans, supported by about 10,000 American troops, operating from four air bases in this region. It is a vicious plan, to once again plunge Afghanistan into a civil war and the consequential fall-out on the neighbouring countries. Thus, USA its allies, India and Russia in particular, will have a field day, stoking the fire of death and destruction in Afghanistan. It was the fall-out effect of thirty years of blood-letting in Afghanistan, that countries like Pakistan, Iraq, Yemen, Somalia, Palestine and Kashmir are so radicalized. Many more countries will now be affected, in the region and beyond. Sadly, the conscience of the global community, it seems is rusted and is not moved by the death of over six million innocent Muslims, killed in Chechnya, Palestine, Iraq, Iran, Afghanistan, Somalia and Kashmir, during the last thirty years, as a result of state aggression against the Muslim countries. 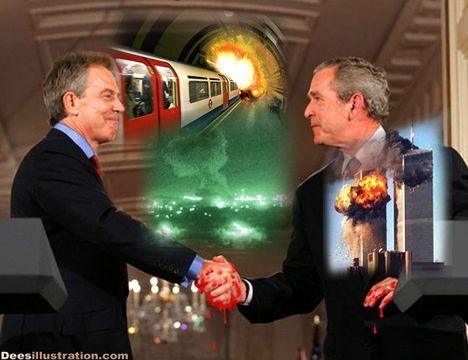 And now the global peace-brokers want to be the witness to more blood-letting, through state terrorism by the civilized world. When President Obama took over the reigns of the government, some two years back, it was simple for him to demonstrate courage and launch himself in pursuit of the change he had dreamt for the American people and say: “President Bush, you have won the war in Afghanistan and it is my job now to withdraw forces and leave the people there to establish peace in the country.” That would have been a very kind gesture of deeper human sensibility, particularly for the Muslims, who, will now suffer, under the shadows of Wikileaks and the vicious plan of deceit and division of Afghanistan and the consequential chaos, confusion and disorder. The road to peace in Afghanistan passes through Washington, where the decision makers have to follow the Rule of the Game, that is, ‘engage with the winner – the Taliban, to lay down the conditions for peace.’ History is a witness to the rule of the game, some 2336 years ago, when Porus, the ruler of the Pak-Afghan border region, was produced before Alexander, the conqueror, who asked Porus, “What treatment should be given to you”? Porus replied “You know the Rule of the Game – Treat the way a king treats another king, who is defeated.” Alexander was so impressed that he handed over the territory, he had won, to Porus, and from this territory the Maurias rose to establish an empire, under the ‘Trimurti Seal’, which now is the State emblem of India. General Mirza Aslam Beg is former Chief Of Army Staff, Pakistan. After his retirement, he formed FRIENDS, a Think Tank based in Rawalpindi. Since then he has been writing for several news papers and magazines. His articles have also appeared in International papers of repute. Now he is a regular contributor to Opinion Maker.